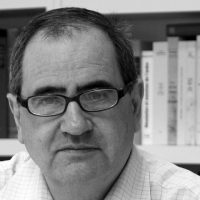 Pierre Rosanvallon is Professor of Early Modern and Modern Political History at the College de France (Paris) and Director of Studies at the Ecole des Hautes Etudes en Sciences Sociales (Paris). His new book La societé des égaux is the third part of his reflections on the transformations of contemporary democracy, after La contre-démocratie and La légitimité démocratique. We need a new social contract based on the ideals of the American and French Revolutions, says Pierre Rosanvallon, whose recent book La société des égaux has attracted much attention in France and beyond. Rosanvallon, professor at the College de France, delivered the Jan Pato?ka Memorial Lecture at the iwm in November 2011. This article was originally published in the Institut für die Humane Wissenschaften.